With a new president, a new science facility under construction, recently completed and on-going planning efforts, and identifiable space needs, the the time was right for comprehensive look at the Wilkes University campus. Derck & Edson was engaged to work with the University on the development of a Campus Enhancement Plan (CEP) for Wilkes to define a way forward with campus improvements to support the University in its goals. 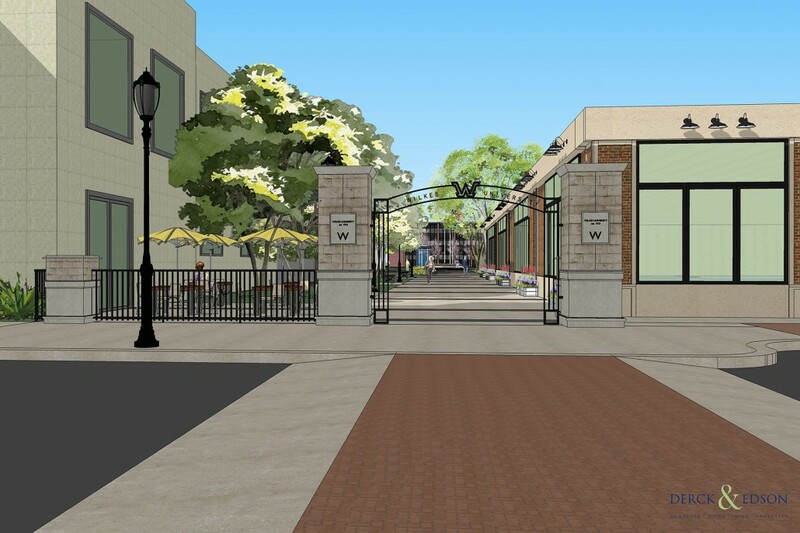 Potential areas of collaboration with Wilkes-Barre for initiatives such as alley improvements, creating a campus feel along public streets, and potential purchase/rehabilitation of existing downtown buildings. 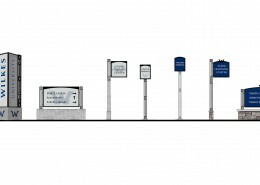 Coordination with existing planning documents such as the Campus Master Plan (2012) and the security review (on-going). 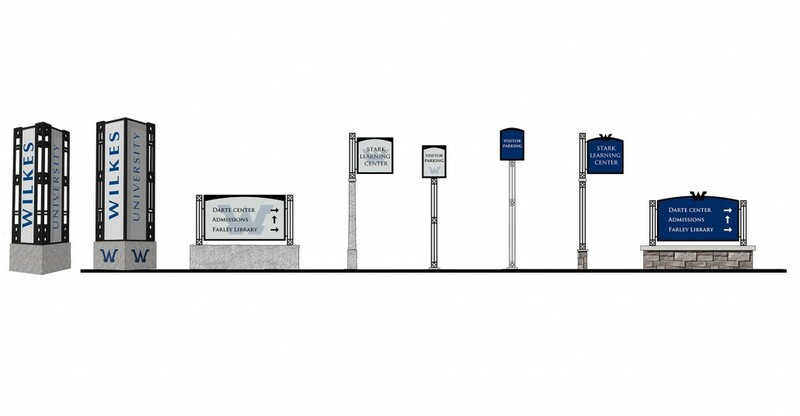 Making the campus stand out in the urban location via edges, wayfinding, lighting, and other site improvements. 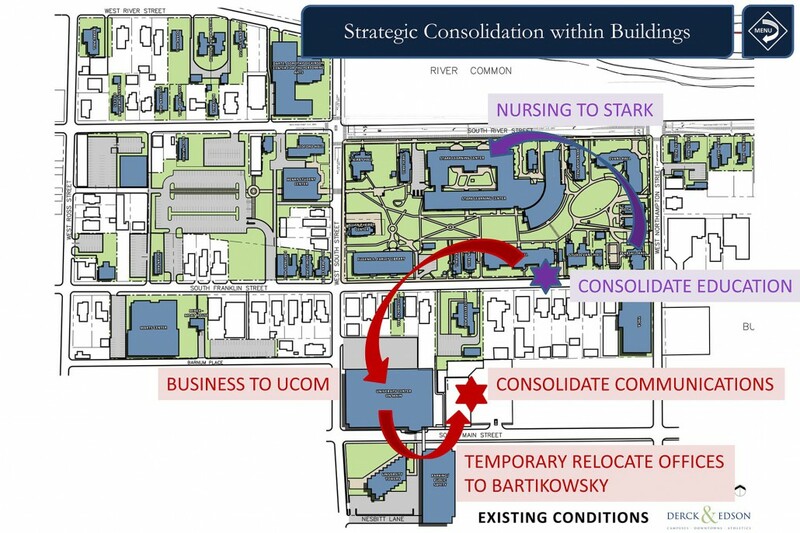 Examining space planning to a degree that identified potential moves and consolidation of academic departments. Examining the remote athletics venue for improvements. Looking at the conversion of some vehicular paths to pedestrian paths. 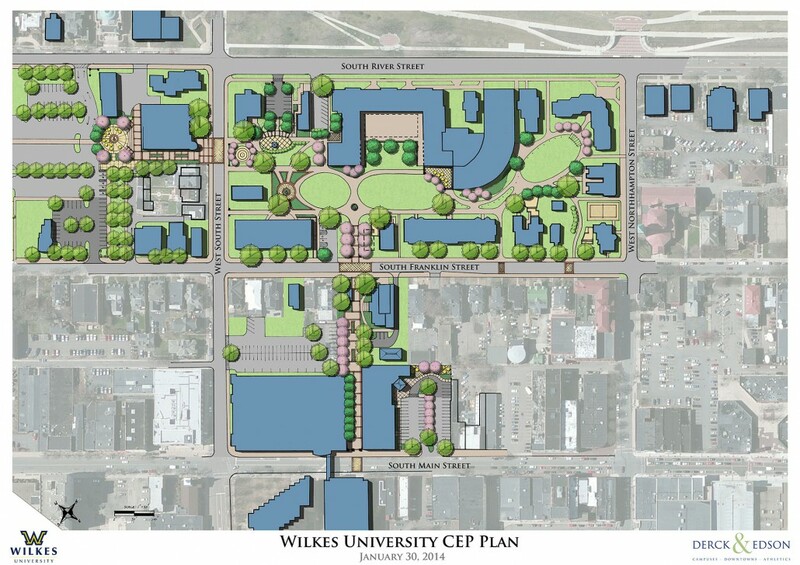 The final Campus Enhancement Plan for Wilkes University proposes various projects to positively impact the campus and address initial planning concerns. 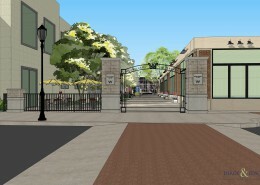 These include building renovations and departmental changes, a wayfinding plan complete with various design elements proposed for various locations, streetscape improvements to surrounding streets, improvements to existing plazas, gathering spaces, and unique campus landmarks such as the Ellipse and the Labyrinth, the addition of upgraded and consistent campus furnishings and lighting, and proposed athletic facility improvements.